Classic fit, natural-rise, tapered leg pants. A great pair of comfortable, all-purpose pants. 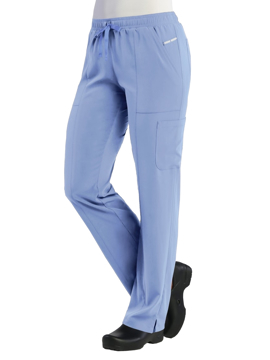 Features wide comfort all around elastic waistband and slash pockets. Regular inseam: 30". Petite inseam: 27½". Tall inseam: 32½". Classic fit, natural-rise, tapered leg pants, have comfortable all around elastic waistband with inner drawstring, slash pockets from waist, cargo pocket with flap and button on left leg, multi patch pockets on right leg and back hip pocket. Regular inseam: 30". Petite inseam: 27½". Tall inseam: 32½". 4-pocket low rise cargo track pant with a knit waistband and all around elastic, plus draw tie, perforated panels with snap closure at hem, straight leg. Regular inseam: 31½". Petite inseam: 29½". Tall inseam: 33½". 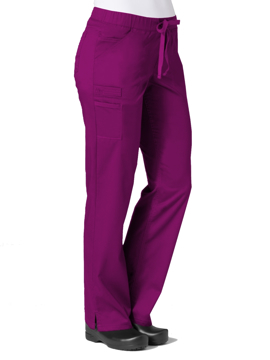 5-pocket mid-rise cargo with a high knit waistband and all around elastic plus draw tie, and flare leg. Regular inseam: 31½". Petite inseam: 29½". Tall inseam: 33½". Traditional classic fit. Three outside pockets. Half back elastic, button tabs. Center back length: 30". A contemporary fit v-neck top that features two front patch pockets, a scissor pocket, right hip pocket with elastic and an instrument loop. Also features an I.D. badge loop and back yoke with locker loop, Front and back side panels are in a soft, stretchy knit for extra comfort and a flattering fit. Center back length: 26". Modern classic fit. Patch pockets, back pocket. Elastic waistband with drawstring. Slim straight leg. Regular inseam: 31". Petite inseam: 28½". Pleated pull-on twill scooter with full elastic back. Built in poly knit shorts. Imported. This beanie is adjustable and expandable with elastic for comfort. Made in 7oz twill for durability. This traditional chef hat features an adjustable Velcro closure for an adjustable fit. Made in 7oz twill for durability. 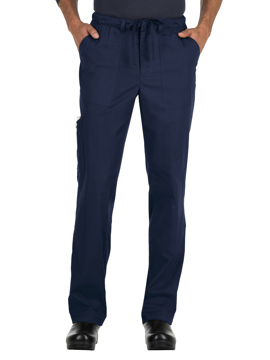 Men's fit, natural rise pant has an elastic waist with a web drawstring. Featured are two front patch pockets, the right pocket has an exterior triple pen holder with a bungee loop,the left pocket has an additional cell phone pocket. 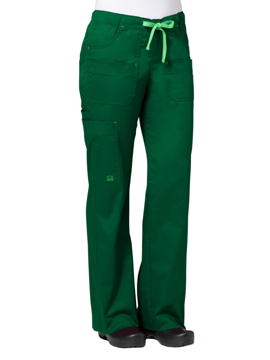 Two cargo pockets and a Velcro tab closure on the back pocket complete this pant. Regular inseam: 32". Tall inseam: 34½". Men's fit top features a chest pocket with an elastic bungee loop, one pocket on the left sleeve with additional self loops for holding pens. Set-in sleeves, back yoke, contrast multi-needle top stitching and side panels with side pockets complete the picture. Center back length: 29½". 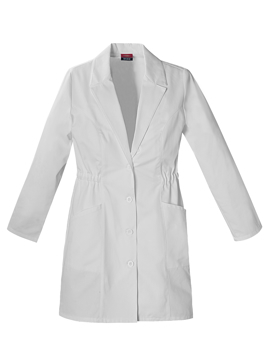 A button front lab coat features a notched collar, princess seams, side angled pockets with an extra hidden functional pocket, and elastic at the side waist for a slim look. Center back length: 34”. Contemporary fit. Six pockets: patch pockets, cargo pockets, back pockets. Elastic knit waistband with drawstring. Utility D-ring. Straight leg. 4-way stretch. Resist wrinkles. Regular inseam: 30½". Petite inseam: 28". Tall inseam: 32½". 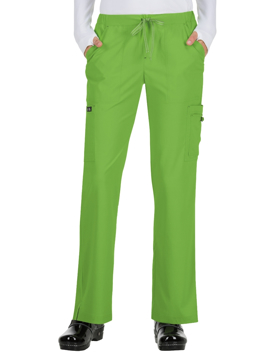 The HH 360 Noah Pant features an elastic waistband, functional zipper fly, and six pockets. Regular inseam: 32". Short inseam: 29½". 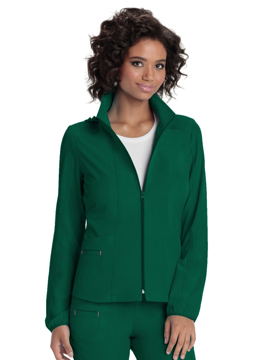 Zip front, warm-up jacket has a detachable hood, front and back princess seams, patch pockets and an outer welt pocket with signature pink contrast bar tacks. Also featured is a hidden functional pink grommet and bungee loop for headphone cords, an exterior pink bungee loop, a signature woven tape at the back neck and along hood edge and elastic binding at sleeve hem. Center back length: 24½". Contemporary fit. Patch, cargo, and inside pockets. Elastic waistband with drawstring. Heart rivets and charm. Decorative heat transfer. Side vents. straight leg. Regular inseam: 30½". Petite inseam: 28". Tall inseam: 33½". Contemporary fit. Patch and cargo pockets. Logo elastic waistband. Side strapping. Heart rivets and charm. Zip side vents. Regular inseam: 30½". Petite inseam: 28". Tall inseam: 33½". Flat front full elastic embossed waistband with branded elasticized tie. Side leg cargo pocket set in the embossed side panel. Back facing action vent. Reflective logo. 16" tapered leg opening. Omni-stretch micro-pique moisture wicking fabric with anti-microbial odor control technology. Regular inseam: 31½". Petite inseam: 29½". Tall inseam: 33½". Mid-rise waist. Elastic waistband with drawstring tie. Contrast print facing. Lightweight, moisture-wicking fabric. 2 front pockets. 4 side pockets, including hidden cell phone pocket. Double patch pocket with printed button detail. 2 back pockets. Double-needle stitching at seams. Side slits. Straight leg. Regular inseam: 31". Petite inseam: 29". Tall inseam: 33". Elastic waistband with drawstring tie. Contrast print facing. Lightweight, moisture-wicking fabric. 2 front pockets. 2 side pockets, including one with hidden cell phone pocket. Regular inseam: 32". Short inseam: 30". Tall inseam: 34". Mid-rise wait with elastic waistband all around. Contrast detail at drawstring. 2 side pockets with zippers. 2 back pockets. Mesh accents. Jogger leg. Row of snaps at hem. Regular inseam: 31". Zipper front. Elastic waist with hidden drawstring and snap button closure. 2 roomy front pockets. Double side pocket. Triple stitch detail. Slim leg. Regular inseam: 32". Short inseam: 30". Tall inseam: 34". This exposed elastic drawstring-front pant with zip fly features a silicone stripe on the drawstring for snug, secure fit. Two hip pockets with ear bud cord tunnel allow you to stay connected wherever you go. The cargo pocket features snap tab for security and the back pocked is ideal for a wallet. Regular inseam: 31½". Short inseam: 29½". Tall inseam 34". 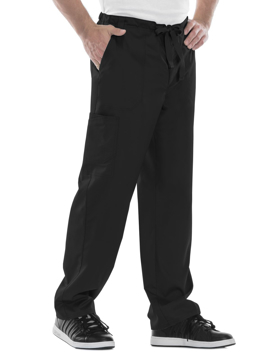 Versatile and comfortable, this drawstring cargo pants are made with 4-way stretch fabric for movement and plenty of pocket storage. 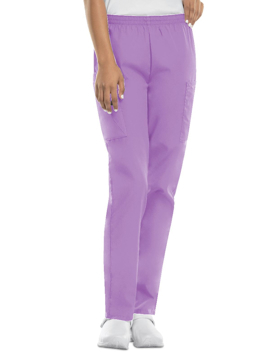 Two hip pockets with fabric inset detail, cargo pocket with a separate instrument pocket, and an additional back pocket give you space to store all your workday necessities. Snap waistband includes internal drawstring with silicone stripe for an extra secure tie, elastic back waist, as well as functional belt loops and fully functional fly. Regular inseam: 31½". Short inseam: 29½". Tall inseam 34". Look sharp in this banded v-neck top with tech-friendly features such as self-tab ear bud cord tunnel and welt chest pocket with silicone snap PED (personal electronic device) closure. Rib-knit accent on the shoulder and elastic inset along the bottom hem at the side provide outstanding fit and full range of motion. Drop-tail hem and center back seam make for a great look, and moisture-wicking fabric offers quick-drying convenience. Center back length: 31". This v-neck top is full of handy features that offer the functionality you need to conquer your work day. The banded v-neckline includes a self-tab earbud cord tunnel, and the chest pocket and separate instrument pocket provide ample storage. Double needle top stitching on armhole and back yoke detail increase durability. Made with 4-way stretch fabric with moisture wicking for breathability, this top features side vents and a drop tail hem. Center back length: 31½". 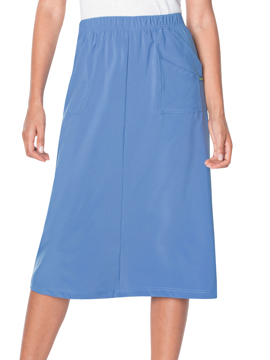 Look, feel, and work your best in this sleek and stylish A-line silhouette skirt designed with a modern fit you'll love. 2-way stretch fabric for comfort and movement. Fade resistant. Chemical-free wrinkle resistance. Stretch twill fabrication. Soil release. Three pockets. Logo tape accessory loop. Center back vent. Full elastic waistband. Length: 31⅛". Get ready and go with these flat front cargos, featuring a stylish modern fit and angled hip patch pockets plus doubled cargo. 2-way stretch fabric for comfort and movement. Fade resistant. Chemical-free wrinkle resistance. Stretch twill fabrication. Five pockets. Logo tape accessory loop. Side vents. 50/50 waistband elastic back, flat front. Front drawstring. Regular inseam: 31½". Petite inseam: 29". Tall inseam: 33½". Ladies flare leg with flat front and elastic back waist. Four front pockets and one back patch pocket. Triple needle stitching at waist and front pockets. Contrast drawstring and bartacks. Side vents. Regular inseam: 31". Petite inseam: 28". Ladies straight leg with 2/3 elastic waist pant. Two front slash pockets and inner cell pocket. Two back patch pockets with slim piping. One cargo pocket with multi-function pen pocket. Dyed-to-match drawstring and D-ring loop. Side vents. Regular inseam: 30½". Petite inseam: 28". Tall inseam: 33". Ladies boot-cut leg with full elastic waist. Two front mulit-pockets and one back patch pocket. One cargo pocket and inner cell pocket. Triple needle stitching at front and cargo pockets. Contrasting drawstring and bartacks. Side vents. Regular inseam: 30". Petite inseam: 28". Tall inseam: 33". 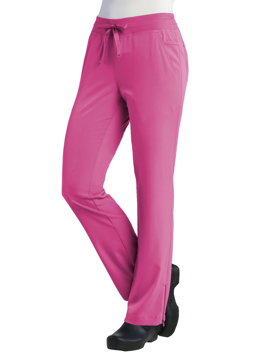 Ladies straight leg pant with full elastic waistband. Two front slash pockets and inner cell pocket. Two back patch pockets with decorative stitching. Back yoke. One logo loop pen pocket. Contrast inner beauty print at waistband and pockets. Dyed-to-match drawstring with grommet. Side vents. Regular inseam: 30½". Petite inseam: 28". 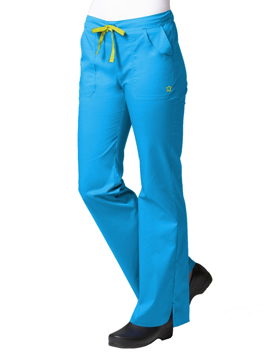 Tapered pant with yoga style waistband with dyed-to-match drawstring. Two front slant pockets with one cell pocket. One cargo pocket. Two back patch pockets. Adjustable zipper at hemlines. Regular inseam: 30½". Petite inseam: 28". Tall inseam: 33". Full elastic waistband with dyed-to-match drawstring. Tapered pant. Two front patch pockets with utility reflective tape. Two back pockets. Two cargo pockets. Side vents. Regular inseam: 30½". Petite inseam: 28". Tall inseam: 33".